Welcome to the first of our team case studies. This client was well established in their marketplace but needed to raise their game to maximise their market share in the emerging technologies sector. We were invited to conduct our Pit Stop diagnostic process to target the specific issues that were blocking their ability to maximise their performance moving forward. 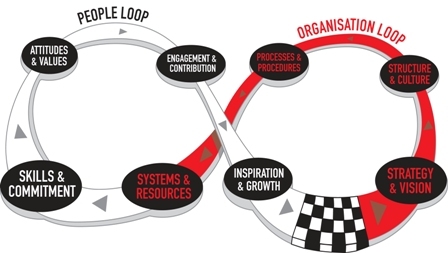 We diagnosed the root causes that lay behind these issues and designed an holistic Unblocking High Performance Programme to address and measurably improve performance in short timescales. We created a Performance Framework for this assignment which clarified where measurable value must be delivered and the return on investment that would be realised by the client upon successful completion. We are now delivering an Accelerating High Performance Programme which will establish even greater focus on winning performances, build ever more positive beliefs across the organisation and generate inspired actions that deliver outstanding results exactly where the client needs them most. Welcome to the second of our team case studies. So what was their major performance challenge you might ask? Client Retention: Accelerating performance through the acquisition of new clients was being eroded by the fact that they were losing a significant number of existing clients at the point of annual contract renewal. 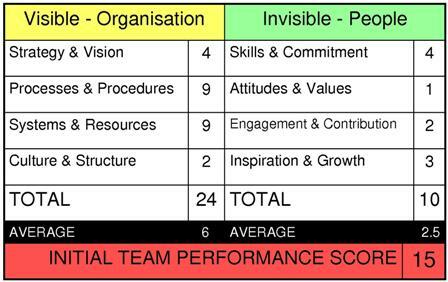 The MD asked us to work with his customer service team and apply our diagnostic approach to illuminate the root causes of limited performance and then inspire the team to measurably improve performance where it mattered most. Our Pit Stop Process captured the frank perspectives of the team membership and leadership as shown in the Benchmark Summary Report below. Reading this chart for the first time, I expect you can start to identify where the root causes of limited performance for this team might lie. was holding the team and the business back. We worked directly with this customer team over a period of 90 days and utilised a variety of our performance specialists to inspire a winning performance.